The September Issue II (Landsknecht). 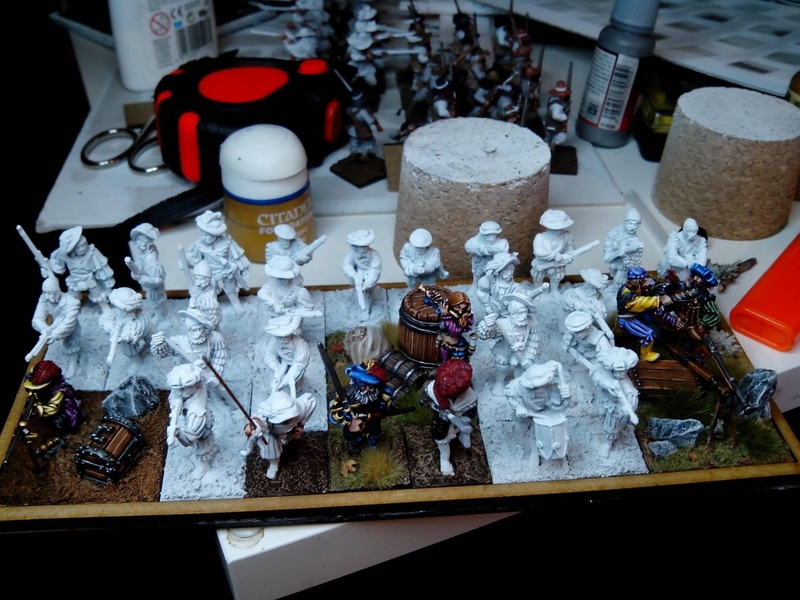 Also this month, i was able to end some fillers for my upcoming 2 arquebus horde, so this time this is part of my own Kings of War army. There is a good mix of brands here, including Pro-Gloria (now Warlord) , Warlord Games, Reaper and Lead Adventure. 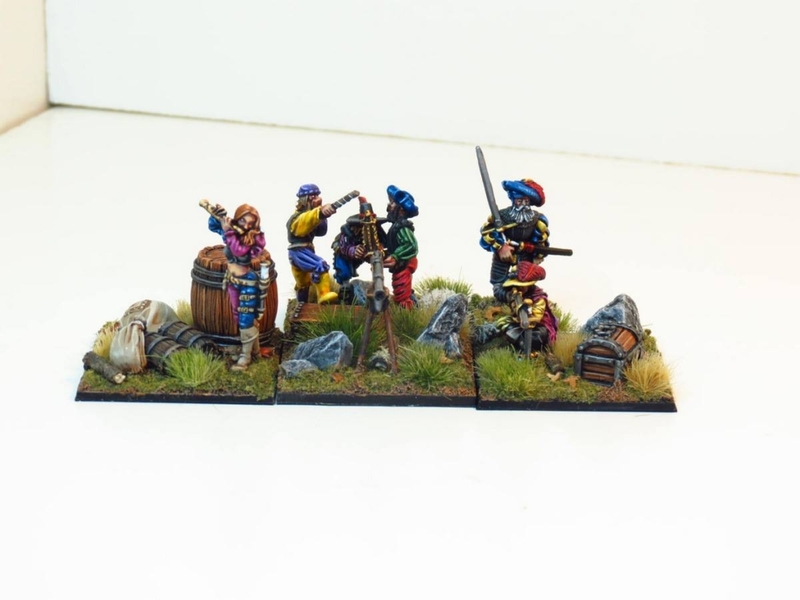 They are 3 fillers, who take the space of 14 figures, with only 5, so i save 9 miniatures to paint (which is not a bad number talking about landsknechts). 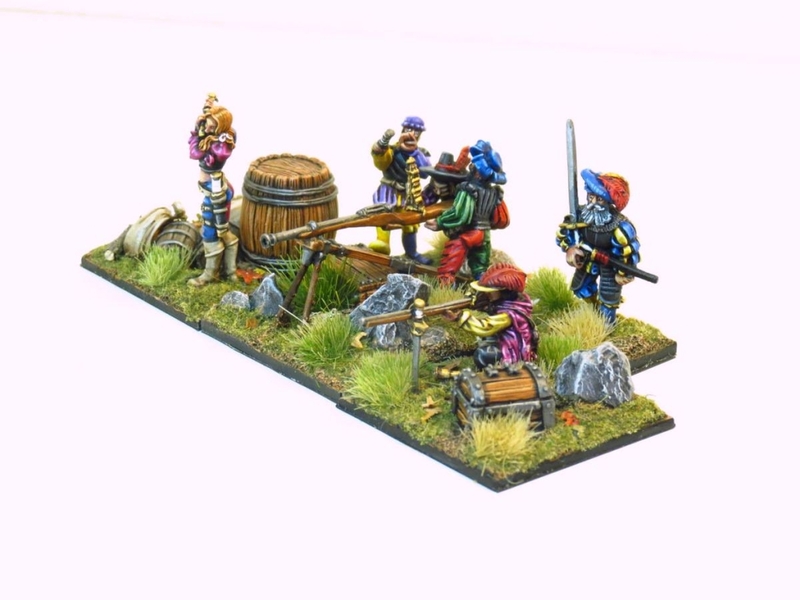 It’s the first time i try to paint landsknechts, i’m looking for a 4-5 standard combinations for the whole horde, i guess i already have found 2 i like, so only a couple more needed. 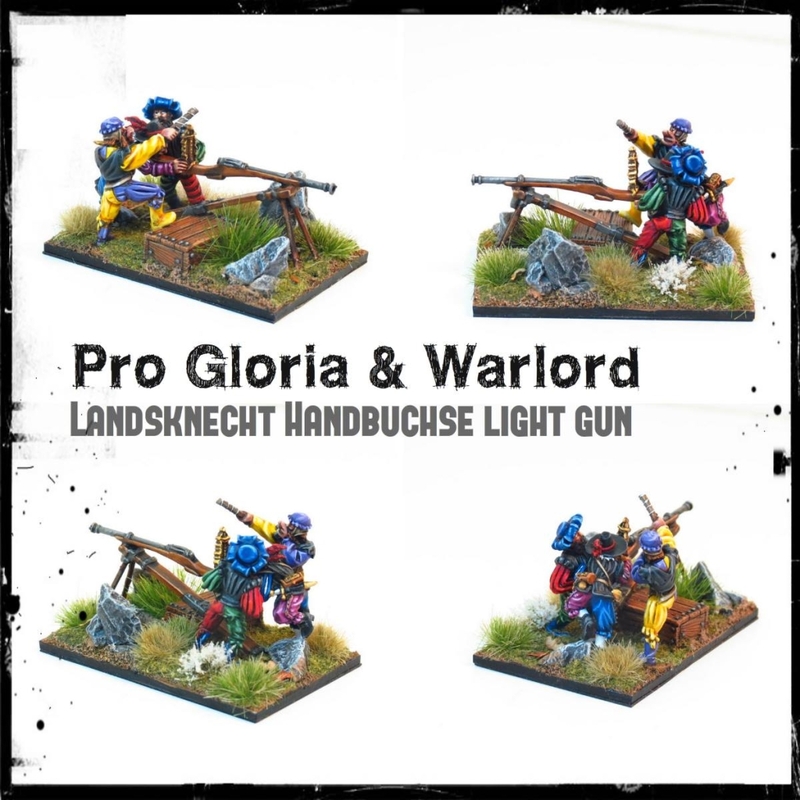 Pro Gloria (Warlord) – Handbuchse Light Gun. It’s taking the space of 6 figures, so is not a bad deal, and i love this team, so i wont to paint it. I got the master gunner and though was a nice addition here, as the Pro Gloria guys are not aiming the gun at all.. seems a blind shoot. Some hard to put all together, not much space, as all need to be close to the gun, and the master gunner over it. I needed to add a stone in the back and a wooden box (Lead Adventure) to properly hold all the figures, but i think result is not bad. 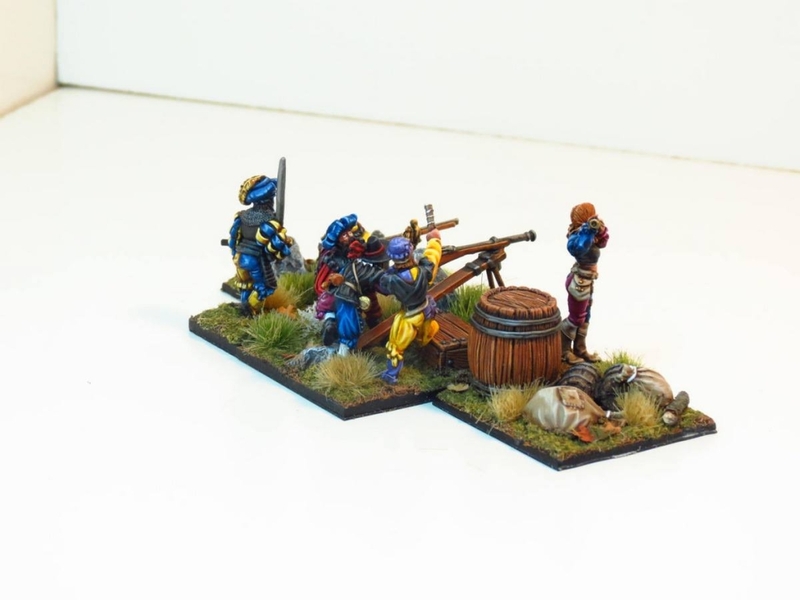 Warlord Games – The Marksman. 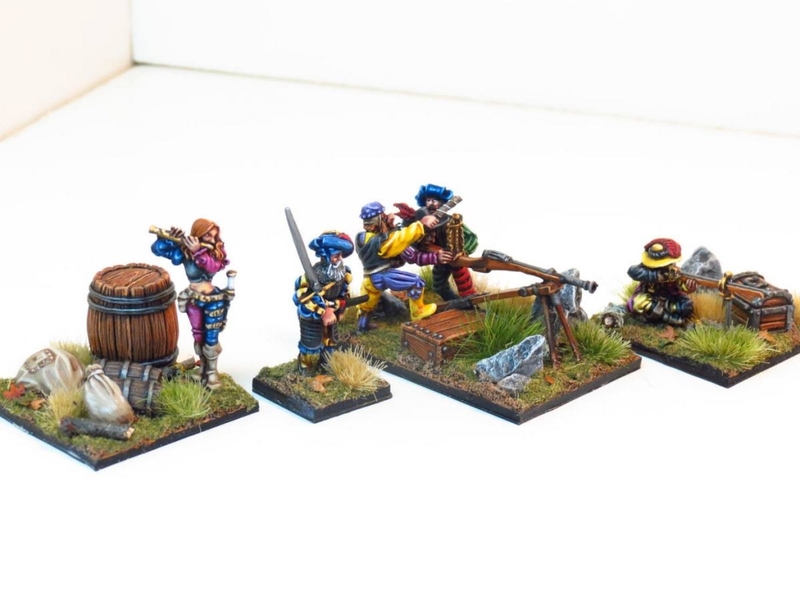 This is a beautiful figure i also liked to paint (The master gunner came in the same blister), but it have been some hard to emulate a landsknecht costume in this figure (around 100 years later), and the figure is not easy to paint. A lot of detail in the chest have very bad access for the brush. 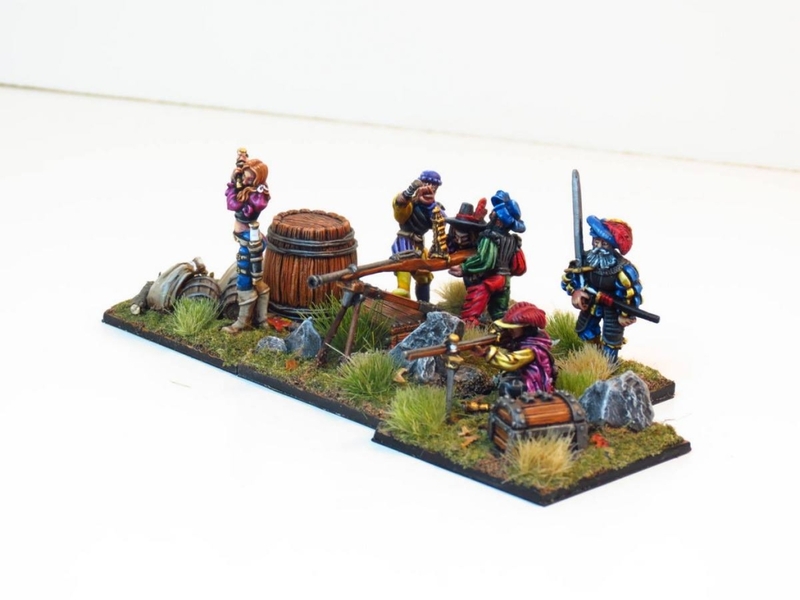 This filler save me 3 figures, as it’s on a 40x40mm base. Close to him is a Lead Adventure treasure chest (lovely piece). 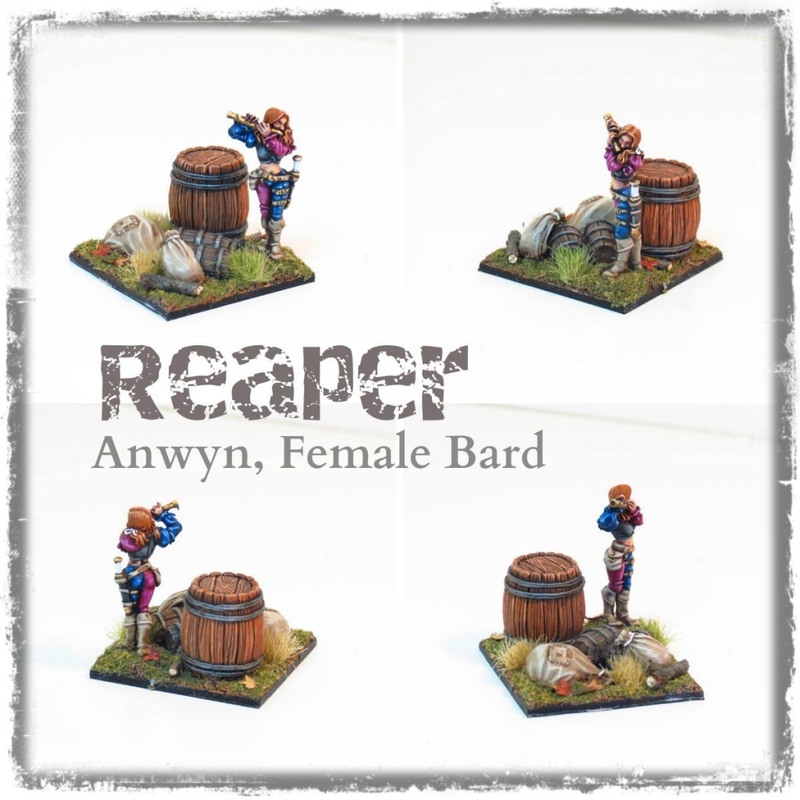 Reaper – Anwyn, Female Bard. This is a lovely figure by Reaper, metal range, although she is also available in Bones range. Again the “landsknecht” costume don’t fits 100% the figure, although this time i think it looks right. 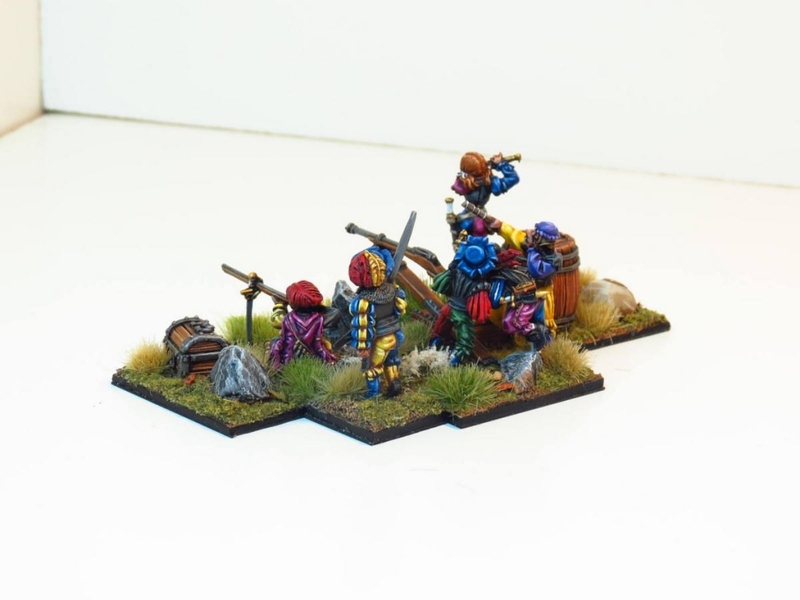 I purchased this figure thinking in the previous edition of KoW, when you needed musicians and banners as options of your units. Now they are merely decorative. 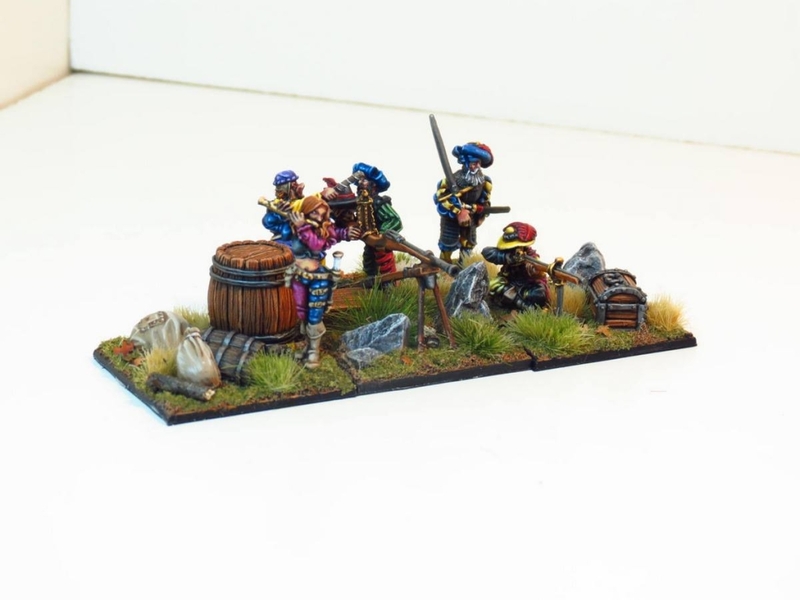 The big barrel and the sac (big) are from Lead Adventure, while the small barrels and the small sac are from Warlord Games (P&S Mule team). A few pictures of all together, included a single Pro Gloria captain i already painted. Previous PostThe September Issue (Dwarves).Next Post28mm – Gripping Beast & Crusader Miniatures – Carthaginian reinforcements.